In addition to being a Realtor, I'm an independent real estate investor, property manager and my own renovations/repairs specialist or handy woman, if you will. I have always had a love for homes and an eye for a properties' potential. My husband and I have enjoyed learning and teaching our knowledge to our two sons. We've worked together on renovating all of our personal rental homes! Therefore, friends often ask for our opinion on home remodeling and landscaping ideas. Of course, we are more than willing to offer free suggestions! It's exciting to be able to pick out your home, especially for the first time, and I'm thrilled to be a part of it all! I Speak from experience. I have been a military spouse since 2000 and relocated to Enid in 2002. The Enid locals have been some of the nicest people I have had the pleasure to be stationed near. They truly love and welcome our military families! The community stores and restaurants are quick to offer military discounts to show their appreciation. I also offer one, so don't hesitate to ask or you'll miss the deal! Thank you Matt Natale - Vance instructor Pilot (left) Tracy Boeckman - Re/Max Realtor (center), Melanie Hulva - Closer at Main Street Title Company (right), Jason Dunn - Financial Concepts Mortgage (taking photo). 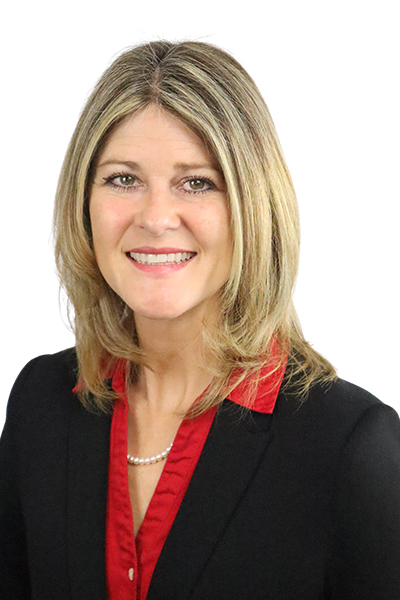 "Tracy Boeckman is hands down the best real-estate agent I have ever worked with. She is the most attentive and genuine in the business! I will always turn to Tracy for all of my real-estate needs. Tracy is the PERFECT real-estate professional!" "Tracy Boeckman went over and above what we had expected during our home search. Tracy was available at a moment?s notice to look at properties and she made sure to answer our questions in a timely and professional manner. If we end up in Enid again in the future Tracy will be our realtor of choice." "Tracy provided a thorough market analysis of our home to determine what it was worth. Pictures were taken to create a virtual tour. She was professional and made the process easy for us. Eventually, we decided not to list the house. Tracy was patient with us during this time and we thank her for that." "Tracy was a very nice and accommodating property manager. I would recommend her to any military family relocation to the area. She understands the military lifestyle and that is always helpful during transitions." "Tracy Boeckman was a great property manager for us. She took care of any problem we had in a timely manner, and did her best to give us a great place to live. Tracy was good at communicating with us and staying in contact in case we needed anything. She is hard-working and understands perfectly what a military family needs. I would work with her again in a heartbeat!" "Tracy has been the best property manager I have ever had! She goes above and beyond to make sure any maintenance issues are taken care of as quickly as possible. I appreciate that she completely understands the unique needs of military families. Her friendly and professional service are what make me recommend her again and again!" "Tracy is very approachable and always ready to resolve issues. She maintains excellent properties. I would recommend her to all people living in or moving to Enid." "Tracy was a very nice and very accommodating property manager. I would recommend her to any military family relocating to the area. She understands the military lifestyle and that is always helpful during transitions."